The South Bay office of the Little Tokyo Service Center is located on the second floor of the Gardena Valley Japanese Cultural Institute. GARDENA — After two decades working with residents of the South Bay, the Little Tokyo Service Center determined it was time to set up shop in the 310. 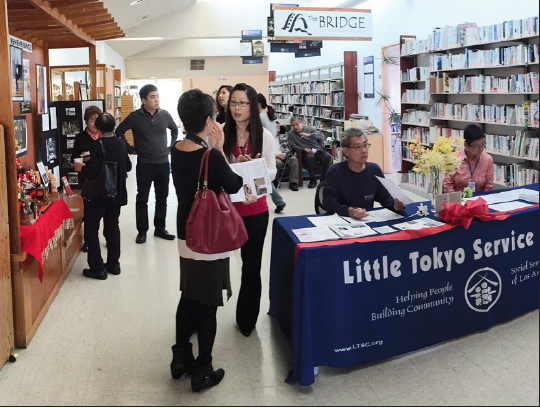 On Friday, the LTSC hosted an open house at its newest location — the second floor of the Gardena Valley Japanese Cultural Institute. Matsubayashi made sure to note that this expansion would not have been possible without the support of two organizations. NeighborWorks America, an organization focused on strengthening communities by creating opportunities for people to live in affordable homes, provided a generous grant to LTSC that allowed for them to expand their services. And, of course, the Gardena Valley JCI, headed by Executive Director Alison Kochiyama, opened its doors and provided LTSC an ideal location to set up. The LTSC and JCI supplement each other as partners. The LTSC is able to provide bilingual services and the JCI provides the office space. Higuchi has been tasked with a comprehensive needs assessment of the Nikkei communities that reside in the South Bay by targeting the social service sector, small businesses, sports leagues, as well as senior, civic engagement, and parenting issues. 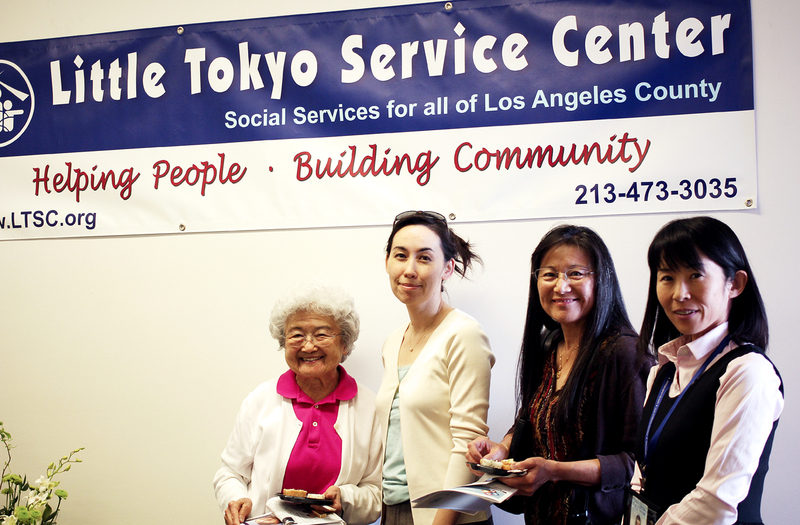 LTSC has provided bilingual and bicultural social services in Little Tokyo and throughout Los Angeles County for the past 35 years. Services include: Information and referral; caregiver resources; counseling; support groups; and assistance and advocacy in applying for Social Security, Medicare, Medi-Cal, Supplemental Security Income (SSI), Social Security Disability Insurance (SSDI), and public benefits for children and families. For more information, visit www.LTSC.org or call (310) 819-8659. GVJCI is located at 1964 W. 162nd St., Gardena, CA 90247. From left: Emiko Takasugawa, LTSC Director of Senior Services Amy Philips, Nancy Yamanishi, and social service staff member Akiko Takeda.